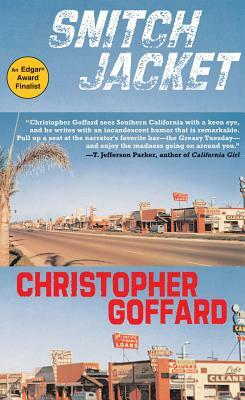 "Everyone knows that California sunshine is the world's loneliest light," says Benny, who inhabits an underworld of desperados and grotesques and spends much of his free time at the Greasy Tuesday, a squalid, southern California neighborhood dive teeming with local legends. One night, one of these legends walks through the door: Gus "Mad Dog" Miller, a huge, tattoo-laden Vietnam vet who sports a necklace of severed ears and whose job at the Greasy Tuesday is "to keep the riffraff out." "But everyone's riffraff here," Benny protests. But Benny, our morally ambiguous hero, soon finds himself transfixed by this twisted Falstaffian personality, and six months later Benny is arrested on suspicion of double murder.